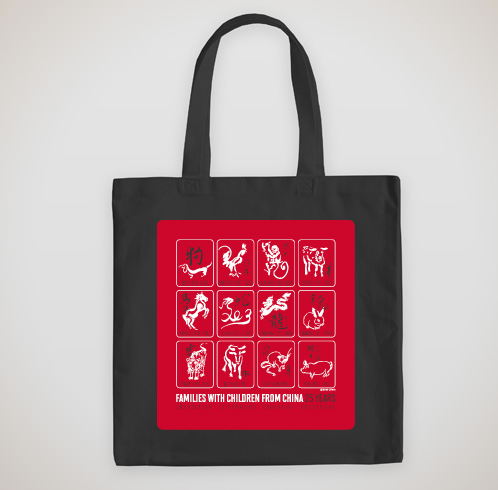 Red and White Zodiac designs on Black canvas tote. Couldn't make it to our Fabulous 25th Anniversary Party? with this LIMITED EDITION black canvas tote bag! These bags were given to guests at our Anniversary Party and we have a limited number to share with those who could not attend. installation artist Ross Lewis and art director Peter Herbert! compiled design for our 25th Anniversary in 2018! Red and White design on Black tote bag. ​Durable 12 oz. 100% heavy cotton canvas. ​1​4​" w x 16" h​ with matching 20" web canvas handles. Great gift idea! Father's day, graduates, gotcha days, etc. $20 if you pick up at an event; we will have one set aside for you. $5 extra for shipping within contiguous US. Double check your address during registration; this is where the items will be shipped. 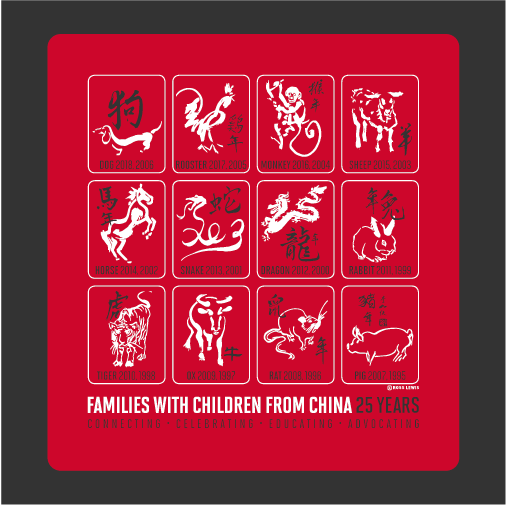 If you are interested in Art to Wear - shirts and aprons from the 2018 Year of the Dog (and before, though with limited stock) - please check them out here.